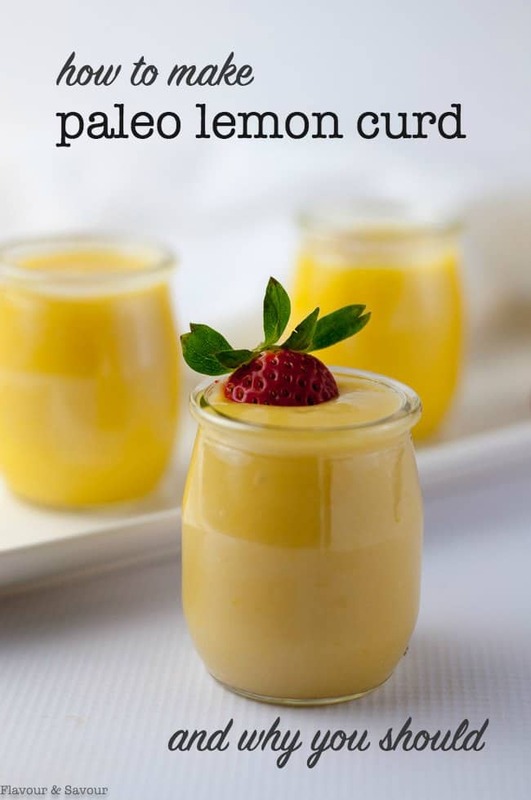 Follow these four easy steps to learn how to make paleo lemon curd. Never buy it in a jar again! 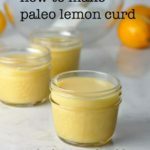 Paleo lemon curd. So many ways to eat it — so little time — on pancakes, with Pavlova and berries, nestled between layers of strawberry shortcake, in tender pastry tarts, as a layer cake filling . . . or straight from the jar with a spoon. My mom used to spread it on toast! So good. Good, that is, until you read the list of ingredients either on the back of a jar of ready-made lemon curd or even in a traditional recipe. Most lemon curd recipes call for 1/4 pound of butter and 1 1/2 cups of sugar. This one, however, is made with coconut oil, honey and Meyer lemons and it’s a simple four-step recipe that couldn’t be easier! 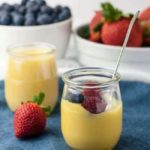 Why buy it in a jar when you can make your own preservative-free paleo-friendly lemon curd in a few minutes in your own kitchen? 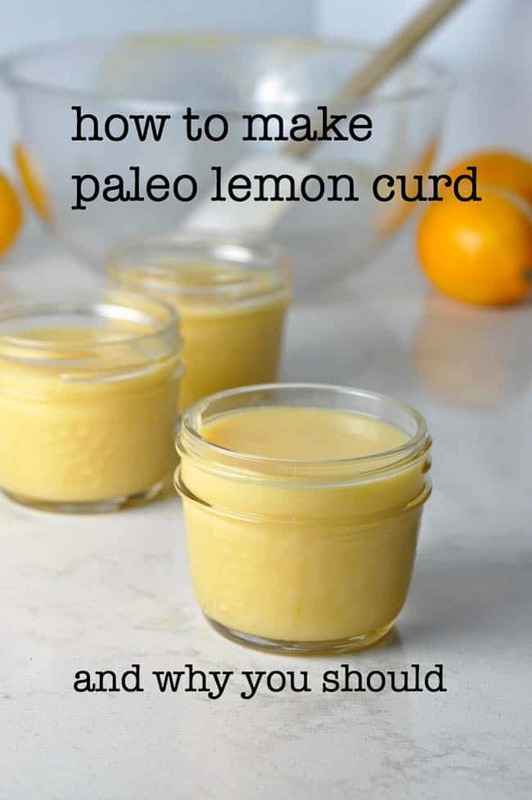 And why would you want to learn how to make paleo lemon curd? Easy! 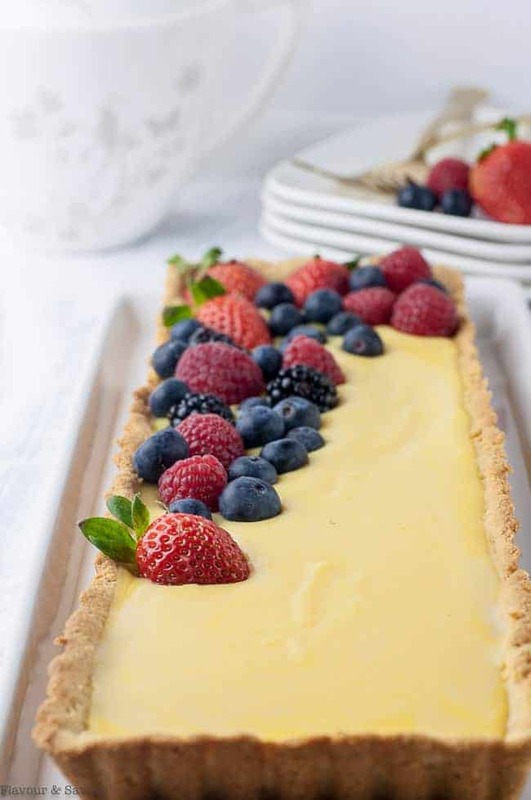 So you can make this creamy Gluten-Free Lemon Curd Tart, this Mini Meyer Lemon Parfait or these Lemon Tarts with Blueberries and feel good about serving dessert to your health-conscious friends and family. You’ll love this Easy Lemon Curd Fruit Dip, too! 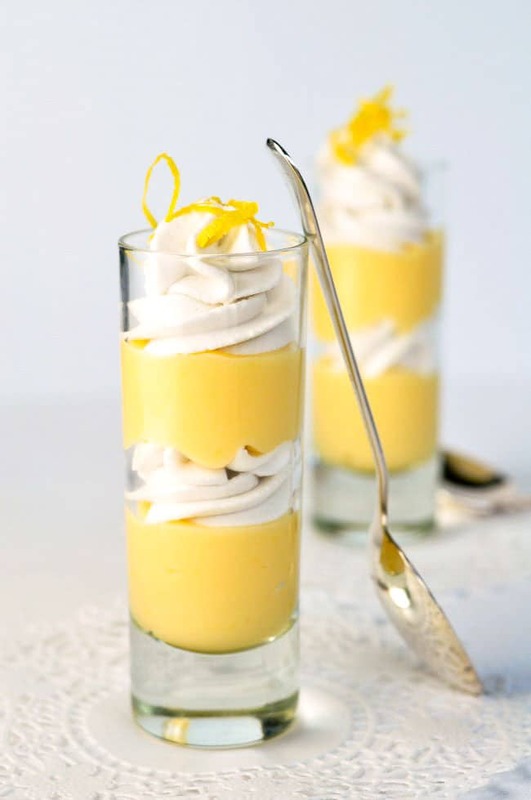 This Mini Meyer Lemon Parfait is so simple. 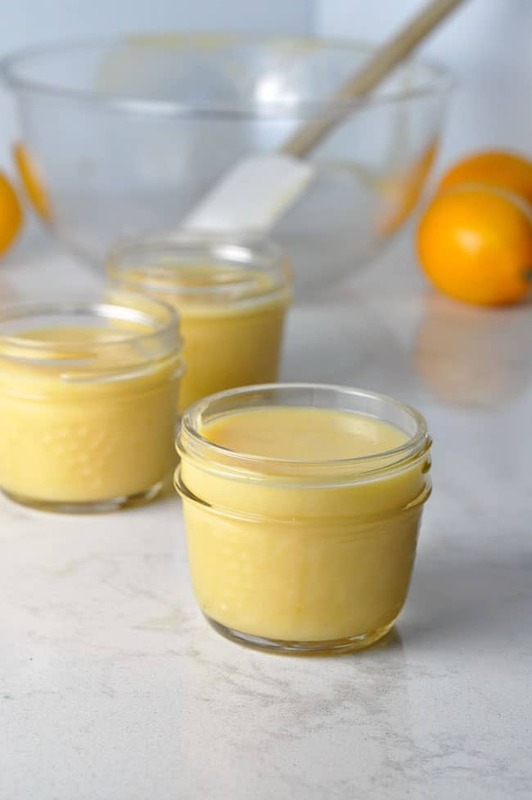 Just alternate layers of this homemade paleo lemon curd with whipped coconut milk in a shot glass or other dessert glass and top with a little lemon zest. Meyer lemons are in season now, and while you can certainly use any lemons in this recipe, Meyer lemons are naturally sweeter, so you can use less sweetener. Their zest has almost a floral aroma. They have a suggestion of mandarin in them which is irresistible. I secretly jump for joy when I find them in the produce section every winter. Seek them out, before they’re gone. Whisk and gently heat the eggs, honey and zest in a saucepan. Add the lemon juice and coconut oil and continue to cook. Finally, add some lids and store this lemon curd in the fridge. It will keep for at least a week. Some of my readers have reported that it freezes successfully, too! This is a recipe that can be made ahead of time. Make your own preservative-free paleo-friendly lemon curd in a few minutes in your own kitchen. Zest the lemons. You may need 2. Squeeze the juice, measure 1/2 cup and set aside. Whisk the eggs in a medium saucepan with a heavy bottom. Whisk in the honey and lemon zest. 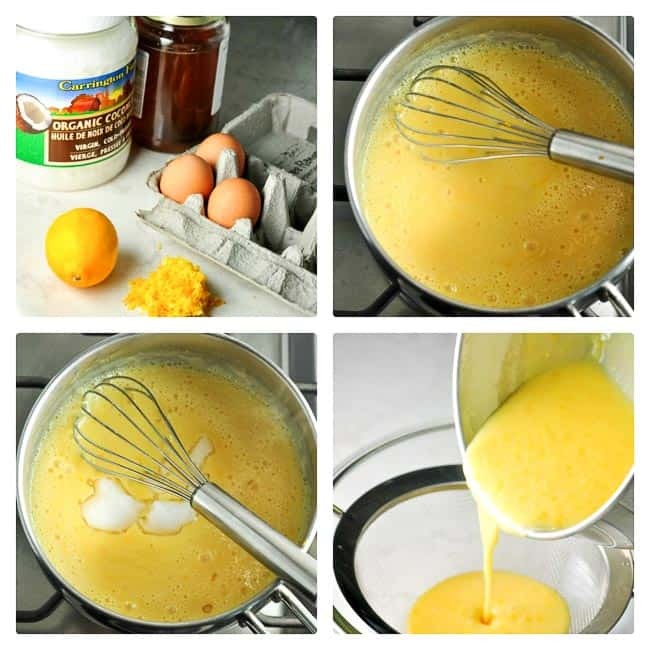 Set over low - medium heat and whisk constantly until mixture is pale yellow and slightly thickened. If you have the heat too high, the eggs will start to cook too soon and become lumpy. But don't despair--If this happens, just turn the heat down, keep stirring and you'll be able to strain out the solids later. Be patient. This takes a while. Stir in the lemon juice and the coconut oil or butter, one tablespoon at a time. Keep stirring to prevent it from scorching on the bottom. Continue to cook and stir until the mixture has thickened and is just beginning to bubble. You'll think it will never happen . . . but it will. Don't let it boil. Remove from heat and strain through a sieve. Don't skip this step. You'll be surprised at the solids that remain in the sieve. Store in glass jars in the refrigerator. It will thicken as it cools. Note: This lemon curd recipe is not difficult, but I’ve discovered it’s even easier when made in the microwave. 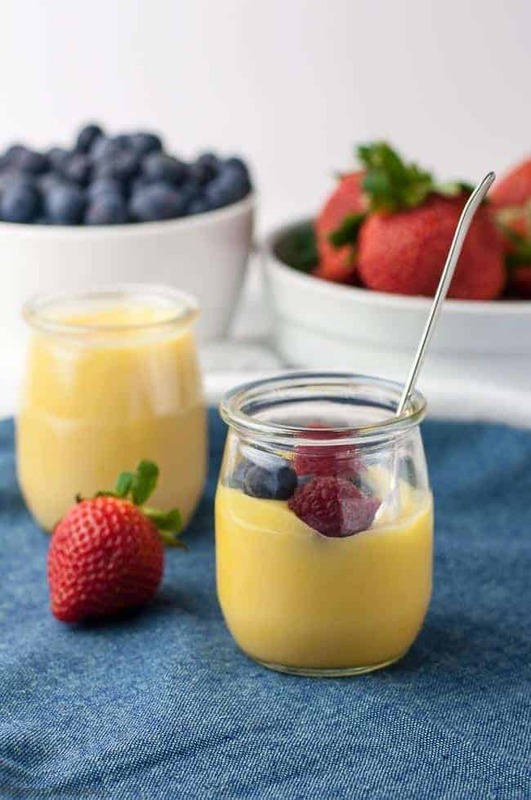 Check this 5-Minute Microwave Lemon Curd recipe. Same ingredients, shorter time! Thanks to The Nourishing Gourmet for the inspiration for this post. So yummy! I’ve made this three times now. The first time it turned out absolutely perfect, but the second and third time it had “that” funky taste that happens in lemon bars/lime pies etc. It’s from the egg I’m assuming – I figured it was from not being cooked completely, but the third time that didn’t seem to help. The first time I “messed up” and mixed everything together before heating. What is that funky taste, and how can I prevent it? Thanks! Well, you have me stumped! Thanks for letting me know because I learned something new about lemon desserts. I haven’t experienced this “funky” taste myself, but I did a quick check online and found that many people complain about a metallic taste in lemon meringue pies or in lemon curd. There does not seem to be a definitive answer for how to prevent it, but here are some suggestions. Lemon juice may react with other utensils, for example, if you are using a pan that contains any aluminum or using a metal whisk. One suggestion was to use a coated whisk. You can buy some that are made with silicone. Another suggestions was to check your lemons for freshness, or try using bottled lemon juice instead. Others suggested to ONlY use fresh lemons, (as I recommended in my recipe) so that’s contradictory. And still others suggested that some people just have more sensitive tastes than others. I hope some of these suggestions help, but it seems that lots of people have experienced this taste, not only with store-bought lemon products, but with homemade as well. I’ll keep researching and asking around! It’s possible that the metallic/bitter taste is from getting to much of the pith (white stuff) when you zest your citrus. This is true especially when making simple syrups or candied citrus peels. When you are zesting any citrus, you have to be really careful to just get the outermost layer of the peel and stop scraping once you see white. I’m not 100% sure if this is what Jenn is describing but it seems likely. I hope that helps! I understand how sad it is to have a recipe flop!!! Great suggestion! Thanks for your comment–I’m sure it will be helpful to others, too! Well… despite my care in not getting any pith in with the zest, this batch had a little eau de battery, too… there goes my theory. I didn’t use meyer lemons, so maybe that played a part. On a whim, however, I added a little vanilla (about 1 1/2 teaspoons?) and it corrected the flavor. Now it just tastes nice and lemony. Dessert saved! I am using this as a layer in a 4th of July trifle! Thanks so much for the tasty, healthy, clearly written recipe!!! Brilliant! That 4th of July trifle sounds fabulous! Thanks for your kind words. Awesome recipe. Easy and tastes so good! Keeping this one for sure! Thanks so much, Ariel! I’m glad you liked it and found the instructions easy to follow.Thanks for commenting! Looks good and I will try it. Have you tried canning it. Hi Bonnie, No I haven’t tried canning it. It lasts for a week or so in the fridge and we always seem to gobble it up! Great idea to try canning it, though. It would make a nice gift! I haven’t tried freezing it as it lasts for a week or more in the fridge, but looking at the ingredients, I don’t see any reason why it wouldn’t freeze well. Let me know your results! I’ll try to squeeze in some time this week to make another batch and freeze it as I have a bag of Meyer lemons in my fridge right now. This is absolutely incredible! Such a wonderful flavor. Thank you for this great recipe! I can’t find the recipe for the lemon cookies that this curd was the filling for. Can you send that to me.. I don’t think that was on my site. The only two recipes I posted that had lemon curd in them were the Meyer Lemon Mini Parfait and the Lemon Tart with Blueberries. Good luck with your search! So excited to find this recipe! Can a gelatin egg substitute be used? Thanks for a great question! I’m not sure if you could replace the eggs with a gelatin substitute, but if you try it, I’d love to hear the results, and I’m sure my readers would too. I’ve googled it, but I can’t find an answer. Apologies! HI has anyone had success freezing it? My daughter made this and it was fabulous…..warm, but got grainy in the fridge ( I ate it anyway) any suggestions? Great question! Lemon curd will get grainy if it is allowed to boil. That may have been the problem. I’ve updated the recipe instructions to make it clear that you heat it just until it starts to bubble around the edges of the pan, then remove it from the heat. Thanks for asking! OMG. I love lemon and this is delicious. I just made it and I agree, don’t leave out the straining. I was shocked at the solids left (yes, I ate them warm….YUM). It was easy & fast. I did increase the honey to 1/3 cup as suggested and that was a good move. Will be fab with blueberries and whipped cream. Thanks for letting me know how much you liked it, Lisa! 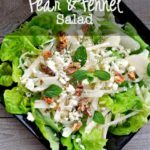 It’s one of the most popular recipes here on Flavour & Savour! I’m so glad I’ve found this recipe. I followed your instructions and it turned out perfectly. I used it on top of pancakes. Thank you! Very lactose intolerant. 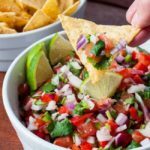 Is it possible to make these recipes without coconut or butter? Thank you. You could try using Earth Balance Butter Sticks. It’s a vegan butter alternative that is widely available. I have not tried this recipe using it, so I can’t guarantee the results, but I do know that it easily replaces butter in other baking recipes. Good luck! I know this is from awhile ago, but I made this with Earth Balance and it was great! Butter is probably richer/better but it was still delicious. Good to know! I’ll definitely try it with Earth Balance next time I make it. Thanks for letting me know. WOWOW. I never like anything “healthy” (in the way of desserts) that I make… but this is FABULOUS! Thanks for a great recipe that I feel good about eating 🙂 🙂 It’s part of our Easter menu for tonight! Thanks for your comment. I know how great it feels when you find something that tastes so good, even though it’s healthy! I feel the same way about my paleo banana bread recipes. Happy Easter! The traditional recipe for lemon curd uses white sugar. I used honey instead of maple syrup or brown rice syrup so that the lemon curd would still be light yellow in colour. If you don’t mind the colour and flavour of maple syrup, I suspect it would work just fine. If you do try it, I’d love to hear your results! Thanks for a great question. Hi – I have a bunch of egg yolks to use up after making an Italian meringue buttercream. Can I use only yolks in this recipe? I just made your recipe, and it was delicious! Thank you! I did add a meringue and my husband and I both loved it warm! Ooooh! Adding meringue is a fabulous idea! Lemon meringue pie, without the crust! Thanks for sharing your success. I’m visiting with my daughter and family for a few weeks to help out with cooking, housework, and childcare following the birth of her new baby. While we were planning menus, she said that she would like me to make some lemon merengue tarts, not something I usually bake. She looked up a recipe for lemon curd and gave it to me. When I opened up the recipe, I was surprised and delighted to see that it was yours! Naturally, the tarts turned out great! Oh that’s wonderful! Thanks for sharing that story. That’s so exciting that you have a new grandchild! Enjoy every precious moment. Love the idea for this recipe but could you clarify what a “tablespoon” is for me? Preferably in a real measure like metric volume or weight but if thats not an option could you tell me if it’s a flattened tablespoon or a heaping one? Sure–I use a flattened tablespoon in my recipes, which is equivalent to 15 ml. Hope this helps! Really nice! I used my three little Meyer lemons from our indoor tree’s first crop. Had far less zest than called for, but it turned out really lemony. Made it in a double boiler instead of directly on the stovetop and it was nice and creamy without any cooked egg bits. I’ll be making this again and again! Thank you!!! Lucky you with fresh home-grown Meyer lemons! So glad you like it and that it turned out well for you. Using a double boiler is a great idea. Thanks for commenting! First time making lemon curd. I was looking for something to do with all the lemons from my tree. Luckily they are Meyers and the curd turned out great. I didn’t have a sieve to strain but was so meticulous in my stirring, I am proud to say I had no pieces of egg!!! Next batch I will strain . Great paleo recipe. Thinking this might make a nice little gift for some of my friends!! Hi Pamela, Thanks for letting me know about your success. And yes–I’m sure your friends would love receiving this as a gift. Thanks for commenting. I use my OXO food mill to strain the lemon curd. Oh, this recipe is so good! I am going to make another batch today. That’s a great idea! I’m so glad you liked it. There are so many ways you can use it, too. Thanks for commenting! It will last about a week in the refrigerator. If you read through the comments, you’ll find that others have frozen it successfully, too. It never seems to last long enough around here to have some left over to freeze! 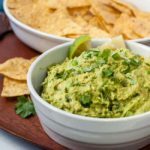 Hi, would this recipe work with limes? Great question! I’m not sure, but I can’t see any reason why it wouldn’t. You may have to increase the sweetener a little. IF you try it, let me know! I’d love to hear the result. What if you don’t have a sieve. Can you use cheese cloth or would it be to thick. I love your recipes and send them to my friends. It’s much too thick to be strained though cheesecloth. However, if you’re really meticulous about stirring, you may not have to strain it at all! 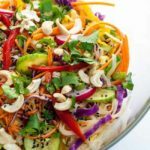 Thanks for sharing my recipes! I’m so glad you liked it as much as I do! Thanks for commenting. Can I use another sweetener besides honey?…I’m on the keto diet. I haven’t tried it with a different sweetener, so I really can’t answer. But if you do try it, I’d love to hear the results! I’m keto too! I did half honey and half monk fruit/erythritol. Its delish! You could probably use all of the sweetener. Im quite active and can get away with a little bit of carbs. Just wondering if instead of using honey, you can use stevia? I’m on the Keto diet and I can’t have honey. Is that okay? That’s a great question that I’m sure others would be interested in, too. I haven’t tried this recipe with stevia, so I can’t say for sure if it would work. However, I don’t really see why it wouldn’t. The recipe doesn’t rely on the honey for texture. The eggs cause it to thicken. I hope you try it and let me know your results! I discovered this recipe on Pinterest and I’m excited to try it! Hope you love it, too! Let me know when you get a chance how it turned out! Just wondering how life this last in the fridge? I’ve been using it on my porridge it’s so tasty but just wondering when it will go off? What a great idea to have it on porridge! Must try that! I find that this will last at least a week in the fridge. Thanks for commenting. hi, i want to make that curd as a dessert…thinking maybe with layers of coconut whipped cream ,but maby evrything will be too coconaty flavored? or maby with mareng with different flavor? can you advice me? and… i’m planning to make and put on a plate next to it chocolate pleo fudj. Hi Ronie, I think that’s a great idea. In fact, I already have a recipe like here on the blog. 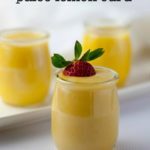 Check this https://www.flavourandsavour.com/meyer-lemon-mini-parfait/ Good luck with your decision!